You can't arbitrarily add sections, you need to choose from the whitelist. It's a txt you install with the RBN plugins. Choose it from the dropdown instead of typing it in to ensure you have a valid and recognized name in game. You have to load the text file first, and then you'll be able to pick it from the dropdown. Thanks for this information! I've been making customs for 5 years and I didn't know about this. 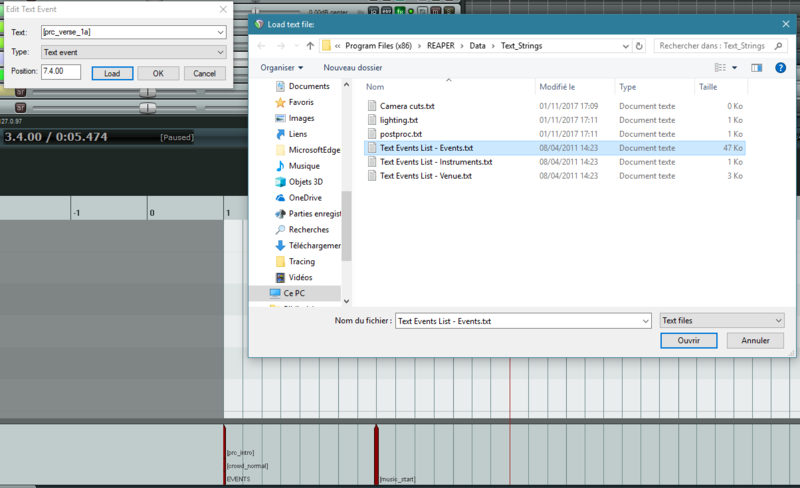 I've now loaded all of the text files into each track as appropriate and saved the template so that each time I start a new project it will all be pre-loaded and always there. Charting Open Notes for Rock Band/In Reaper?